And vlive uploaded a cute summery of JW's latest vlive with cute captions. Eng Sub available. @booha thank you very much for updating on JW's recent activity. He's looking so handsome. Here's recent all baby smile pic of Joo Won from "Joo Won 508".. I love it when he smiles like this. He also attended a fashion event.. So there's going to be two fan meeting so far, first in Japan, next one in Korea. As much as I'm excited that we'll get more fan cams from these FM, I really want a news of a JW drama now. I hope he already got some scripts to his preference... Writer nim and PD nim...Palli Palli.. So JW is having 2 FMs (Korea 4/27 & Japan 5/17) Yes it will be nice, we will hear about his new drama soooon. Hope JW knows his fans have waited for a long time. I’m sure his fans are checking every day the news about his new drama. Found some handsome photos of JW. Hope JW knows his fans have waited for a long time. I’m sure his fans are checking every day the news about his new drama. Joo Won himself is very eager to do a drama. He specifically said it in his discharge pres con. But before going to enlistment he said he wanted to come back with different image via his projects after discharge. I think he'll be picking such a project unless a different kind script catches his mind. 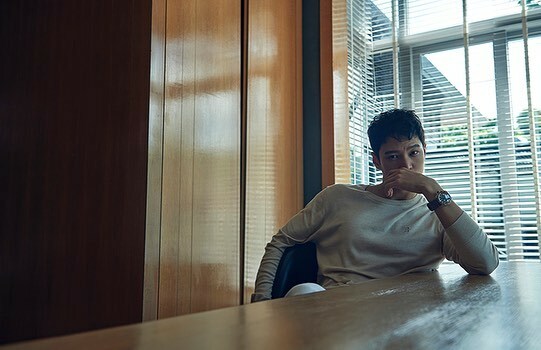 Aaand..Joo Won For Arena Homme. MBC News updates on Joo Won. I am so glad he's back! I miss him so so so so badly!!! Soooo happy to see him and hear his voice again! THANK GOD FOR JOO WON!!! @Tasia, I was in office when i watched his vlive too after half an hour later though. I was grinning ear to ear..glad no one was around me at that time to see me like that. Yes..Let's hope he'll be back with an awesome drama. Todays Insta update by some young actors/models with Joo Won. He seems to be shooting something. CF? Her Caption: He was so cool that I couldn't even talk ..
His caption: I was very fortunate to be with you! And Some new photos from Brentwood. Joo Won just updated his IG! & here is a pic of JW uploaded by a fashion designer..Looks like he's busy but found some time to dine out.. he seems to be at a restaurant and looking at menu here. 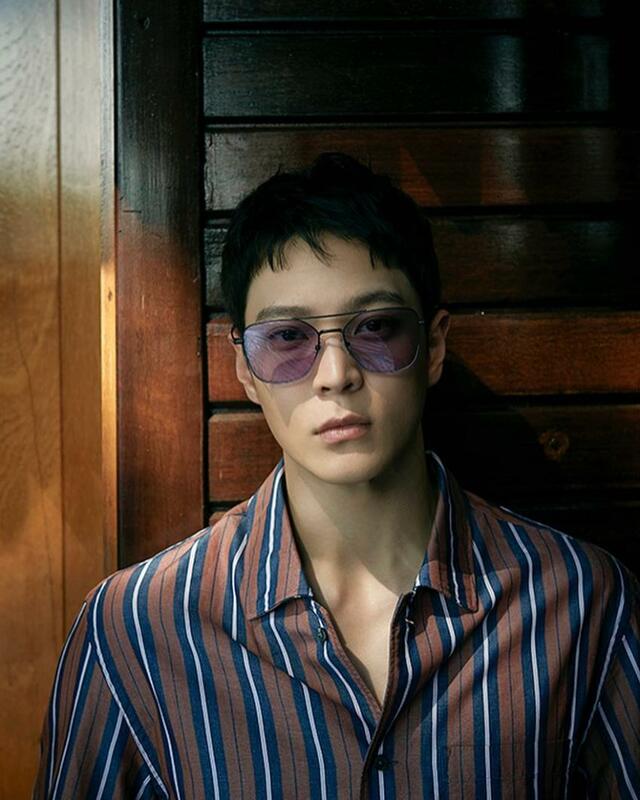 Oh no..Lots of newly released pictures from Brentwood..Joo Won looks so goooood in each... Leaving my favorite ones.. I think I'm more into side profile these days..! HB updates on Fan-meet in Korea which is gonna be on 27th April, 2019. 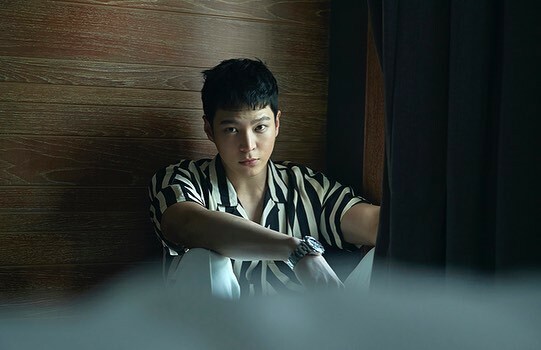 And here's Joo Won's shout out to his Japanese Fans for FM on 17th April, 2019. His IG story today says He's flying somewhere...so looks like he's having a busy schedule in April. @booha From Museum to Paramount Pictures Studio.. he's visiting fun places in LA.. He wouldn't have update us so much via sns if he'd go with someone special, I guess. Moon Jun Won, have lots of fun.. In the mean time Brentwood is going crazy with updating all the cool JW photos with in nice cloths. Hi! Anyone knows if Joo Won has a fanclub in the US? A new fan is asking through the JWPH page. She's near LA.